Hardwood decks are unmatched in their gorgeous, rich appearance, letting the wood’s beauty shine for a maximized visual impact. It’s not surprising that hardwoods are among the best, most popular decking material choice for homeowners. 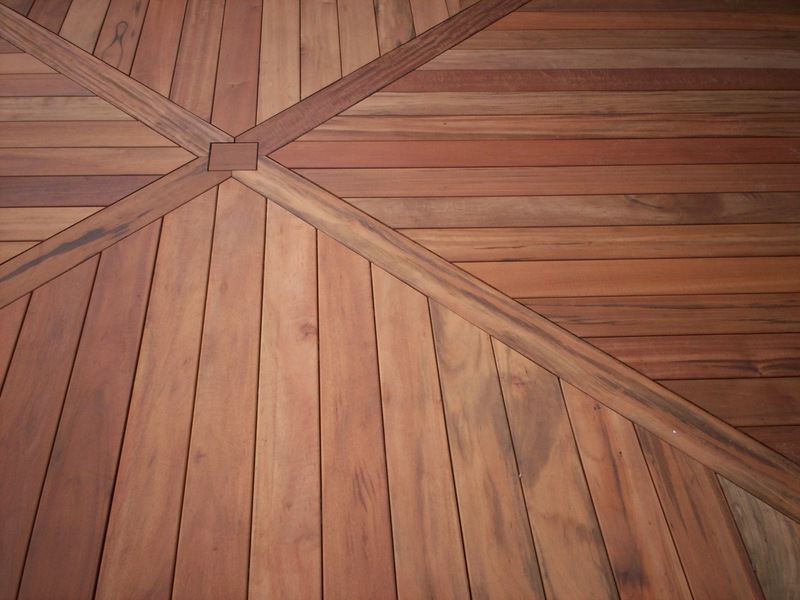 Hardwood decking is classified as ‘exotic’ or ‘tropical’ wood, imported from other countries, primarily South America. Teak, mahogany, Ipe and Tigerwood are the best know hardwoods; however, others are available too. Hardwoods include color variance to ensure your outdoor living space is a complementary bridge to your indoor living space decor. ‘A word’ about hardwoods… elegant indeed! 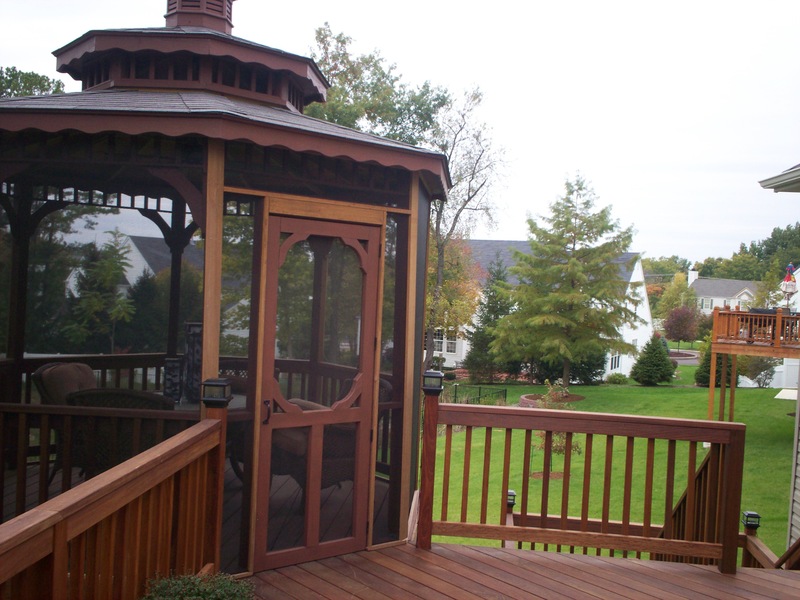 Visit our website, Archadeck of West County and St. Charles County, and see pictures of deck designs and decking materials, including hardwoods. 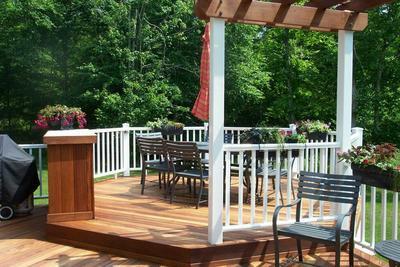 In addition to hardwoods, Archadeck custom designs and builds outdoor living spaces using natural cedar and other wood. We can emulate the ‘look’ of hardwoods and other wood decking with today’s vinyls and composites with superior products by TimberTech, AZEK, Trex, Fiberon, EverGrain and more. 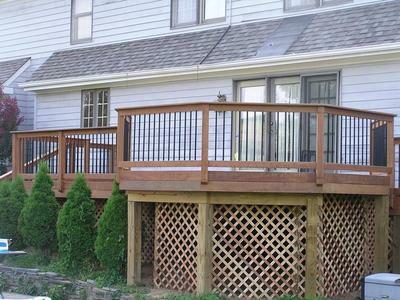 Archadeck in St. Louis is a premier deck designer and builder. We serve all areas of St. Louis and St. Charles counties in Missouri and parts of Illinois. We also custom designs and builds: screened in porches, screened in decks; gazebos and pergolas; open porches and front porches; patio covers and enclosures; underdecking, under deck screen enclosures and other outdoor living spaces. If you live outside of the St. Louis, Mo area, just visit archadeck.com for other offices near your hometown.